Through L’Occitane’s Refer a Friend program (“Program”), participating VIPs are eligible to receive a free gift from L’Occitane and may refer to the Program as many Friends (as defined below) as they want who also will be eligible to receive a free gift from L’Occitane. VIPs are not required to refer friends to redeem the free gift. To participate, click on the link in your special gift offer email from L’Occitane and follow the on-screen instructions to claim your gift code and invite friends to participate. Referral invitations must be sent by 11:59 p.m. ET on September 6th, 2018 unless otherwise extended by L’Occitane. Your referred friends will receive an email with a unique link and instructions to claim their free gift code by 11:59 p.m. ET on October 3, 2018. You and your referred friends then will have until October 3, 2018 at 11:59 p.m. ET to redeem the free gift in-store or online based upon the redemption option you select. L’Occitane (sometimes also referred to herein as “we”) reserves the right at any time to modify or discontinue the Program, either temporarily or permanently (or any part thereof), without any further obligations. L’Occitane will not be liable to you or the referred party in the event of any modification, suspension or discontinuance of the Program. We will provide you with notices via email or a notice posted on http://www.loccitane-sharethelove.com/ should we terminate, alter or modify the Program and/or these terms and conditions. “Terms and Conditions” shall refer to these terms and conditions, as they are modified by L’Occitane in its sole and absolute discretion, in addition to all other terms and conditions included with any emails or messages sent to you in connection with the Program. The Program is open only to individuals who are not otherwise ineligible to participate and who (1) are L’Occitane VIPs, (2) receive an invitation from a L’Occitane VIP (“Invite Email”), or (3) haven’t been L’Occitane customers and click on a link that takes them to an acquisition landing page. No purchase is necessary to participate in the Program. In addition to the foregoing requirements, the Program is open only to individuals, who are, as of entry, at least eighteen (18) years old and not minors as defined by their state of primary residence, and who are legal residents of, and physically located within, the United States and the District of Columbia. Employees, officers and representatives of L’Occitane, its parent or affiliated companies, distributors, suppliers, subsidiaries, retailers, advertising/promotion agencies, and members of the immediate family (mother, father, brothers, sisters, sons, daughters and spouse, regardless of where they reside) and household members of each such employee, whether or not related, are not eligible to participate. Void where prohibited. As a VIP, you may claim the free gift and/or share the offer with friends (each a “Referred Friend” and collectively “Referred Friends”) through email, Facebook Messenger, and, if you are accessing the free gift promotion via a mobile device, through SMS (texting – MSG and data rates may apply), (collectively, “VIP Shared Mechanisms”). Once you select one of the VIP Shared Mechanisms to share the offer with Referred Friends, the email, Facebook message or SMS text, as the case may be, will open and be pre-populated with a message about the free gift offer. As the VIP, you may use your native email, Facebook Messenger or SMS text applications to easily select as many friends as you like to share the offer with. After you designate the individuals you want to invite to participate in the Program, your Referred Friends will receive an invitation from you directly through the VIP Shared Mechanism you designate. Each invitation to your Referred Friends will contain a unique link. Referred Friends who click on the link in the message from the VIP or users who click on a paid advertisement promoting the Program will be sent to a landing page where they will be able to claim the free gift offer (“Referred Friend Landing Page” or “Acquisition Landing Page”) by agreeing to receive marketing emails from L’Occitane and designating whether they wish to redeem the gift in-store or online. The offer may expire and/or change at any time in L’Occitane’s sole discretion. Since VIPs can refer as many friends as they want and the invitations will be sent as a group email, SMS text message or Facebook message, you should be mindful of the number of invitations you send and to whom. You may not use automated programs or send unsolicited emails to persons you do not personally know or have direct, voluntary two-way communications with. VIPs are not required to refer the offer to anyone else in order to claim a gift nor are VIPs required to claim the gift in order to invite friends to participate. 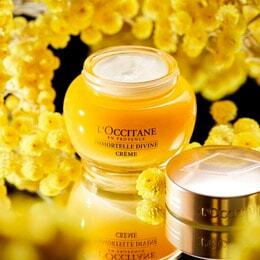 The gift offer may be redeemed at participating L’OCCITANE boutiques in the United States with no purchase necessary or online at the L’OCCITANE website with any purchase of $5 or more (excluding items priced under $5). May not be redeemed at L’Occitane outlet boutiques or wholesale partners, such as department stores or other online retailers that sell L’Occitane merchandise. Valid only while supplies last. Free gift may vary depending on inventory. Also, when you shop on the same day that you redeem the free gift, you will receive 20% off all full-priced items that you purchase from September 4 through October 3, 2018. Both offers may not be used in combination with any other promotions or discounted items and may be redeemed only once per household. These offers are non-transferable and can only be redeemed by the owner of the account to which the offer was sent. Offers may not be applied toward prior purchases, sale items, gift cards, shipping fees or taxes. No reissue or reimbursement for lost or void coupon, or gift code. No cash value. No cash back. By redeeming these offers, you agree to be bound by these terms and conditions. For in-store redemption of the free gift, either bring a printout that shows the code or display the code to a store associate on a mobile device. For online redemption, enter the code during the check-out process. 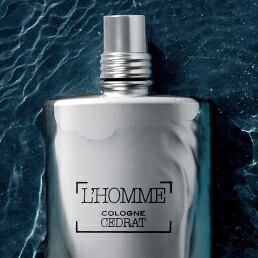 L'OCCITANE reserves the right to substitute the gift with another one of a comparable value. Free gift offer valid until October 3, 2018 or while supplies last, whichever is earlier. L’Occitane does not accept responsibility for network, computer, hardware or software failures of any kind that may restrict or delay the sending or receipt of your code. Referrals must not be submitted through agents or third parties. Any referrals made by a person found to be using multiple email accounts will be ineligible. L’Occitane reserves the right to withdraw or change any part of this offer at any time. Offer valid only while supplies last. Gift may vary depending on boutique inventory. Offer can be used only one time. The value of your free gift will not be returned if you make a return or exchange. Free gift coupons cannot be applied to previous purchases. In all matters relating to the administration of the Program, the decisions of L’Occitane shall be final. L’Occitane reserves the right to cancel or deactivate anyone’s code if such a person, in L’Occitane’s sole discretion, violates any of these Terms and Conditions or any applicable law, obtains the code offer via deception, forgery, fraud, or commits any other abuse of the Program. L’Occitane is not responsible for lost, interrupted or unavailable network, server, internet service provider, Website or other connections; telephone availability or accessibility; miscommunications; failed computer, satellite, telephone or cable transmissions, lines or technical failure; failed phone, computer hardware or software failures, technical errors or difficulties; telephone transmissions; technical failures; unauthorized human intervention; traffic congestion; garbled or jumbled transmissions; undeliverable emails resulting from any form of active or passive email filtering; insufficient space in any participant’s email account to receive email; or other errors of any kind, whether due to electronic, human, mechanical, printing, production or technical errors or other causes. L’Occitane does not warrant that the entry mechanism will be available at all times the Program is active. Any dispute or claim (“Claim”) relating to this Program or the Terms and Conditions that is not informally resolved within fifteen (15) days of L’Occitane’s receipt of written notice, shall be finally resolved by arbitration in the State of New York. The arbitration will be administered by the AAA under its AAA Rules, will be conducted in English and by a single arbitrator, and any court with jurisdiction may enter judgment regarding the arbitrator’s award. If any court or arbitrator determines that this class action waiver is void or unenforceable or that arbitration may proceed on a class basis, then the relevant claim will not be subject to arbitration and must be litigated exclusively in federal court located in New York, New York, without regard to any principles of conflict of laws and the Program will be interpreted, construed and enforced, and governed in all aspects in accordance with the exclusive jurisdiction and laws of the State of New York. These terms and conditions are effective as of January 1, 2018.